Central Armed Police Forces (AC) Examination (UPSC) Has Invited Application Form For 270 Assistant Commandant. 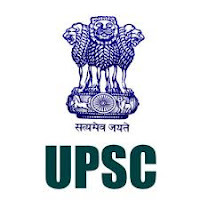 All Eligible Candidates Are Required To check Eligibility details for UPSC Advertisement and Apply Online Before Or On 8th April 2016. Education: Bachelor’s Degree or its equivalent qualification from a recognized Board/University. Age Limit: Age should be between 20 to 25 Years As On 01-08-2016. Age relaxations will be applicable as per the rules. How to Apply: Eligible and Interested candidates may fill the online application through official website before or on 8-04-2016.